In the American Southwest, Nevada, Arizona, and California skirmish for dwindling shares of the Colorado River. Into the fray steps Angel Velasquez, detective, leg-breaker, assassin and spy. 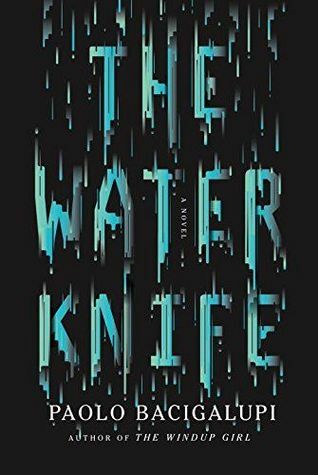 A Las Vegas water knife, Angel "cuts" water for his boss, Catherine Case, ensuring that her lush, luxurious arcology developments can bloom in the desert, so the rich can stay wet, while the poor get nothing but dust. When rumors of a game-changing water source surface in drought-ravaged Phoenix, Angel is sent to investigate. There, he encounters Lucy Monroe, a hardened journalist with no love for Vegas and every reason to hate Angel, and Maria Villarosa, a young Texas refugee who survives by her wits and street smarts in a city that despises everything that she represents. With bodies piling up, bullets flying, and Phoenix teetering on collapse, it seems like California is making a power play to monopolize the life-giving flow of a river. For Angel, Lucy, and Maria time is running out and their only hope for survival rests in each other’s hands. But when water is more valuable than gold, alliances shift like sand, and the only thing for certain is that someone will have to bleed if anyone hopes to drink. The Water Knife presents a grim image of a world in which water, necessary for life to exist, has become a commodity needed by many and owned by few. The world that Bacigalupi paints such a vivid image of is one in which people are being forced to live in vast, poverty stricken deserts; they are dependent on the few private companies and government organisations left to provide them with water. The United States of America no longer exists; instead, the US has split off into several ‘states’ that run more like private companies. California exists as the most powerful of these new states, and Texas, with no water of its own, is unable to sustain life – refugees from the state of Texas are considered to be lower-class citizens. If this is all sounding familiar, it should be. The real world parallels are on point throughout the book. There are several main characters, all equally fascinating, who provide a different insight into what life is like in this world. Angel, or as I like to refer to him, ‘Amber Bait’, [Amber: excu say moi] is a former criminal recruited out of prison to become a Water Knife – officially a position that doesn’t exist, Angel and the men and women like him do the dirty work for the companies they unofficially represent. They cut off water to towns, shut down water plants, and basically more or less perform corporate espionage. Lucy, a journalist living in Phoenix, while investigating the brutal murder of a friend, finds herself drawn into the dangerous underworld of the corporate states. Maria, the final POV character, is a Texas refugee living below the poverty line. I loved all three characters and was so impressed at how vivid they were. Unprepared! [Amber: okay I’m a little bit sold. Carry on.] OH, AND THEN, BECAUSE THEY WEREN’T ENOUGH, there’s the saddest almost, not quite a romance between Maria and her best friend. I cried over that because honestly it was just cruel and terrible. The worldbuilding is also one of my favourite things in this book. Bacigalupi is so great at breaking that Westernised stereotype when it comes to writing dystopia and fantasy (his books read like a mixture between the two genres). He effortlessly creates a diverse world in The Water Knife – there are Chinese people, Mexicans, Caucasians, Asians and those are just the people I can remember. I also really appreciated the way in which the arcology technology – self-sustaining apartment complexes that run on a combination of machinery and natural resources – is credited to people other than White Americans. 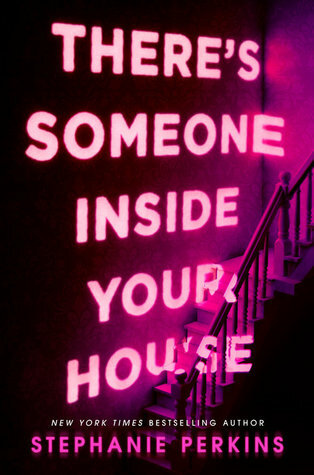 In summation, I really, really recommend both this book and this author. He is fantastic and The Water Knife is a compelling story with excellent real world parallels. ALSO, the ships. The ships.